Think container houses are too heavy to be in a tree? Think again. This home shows how it can be done. 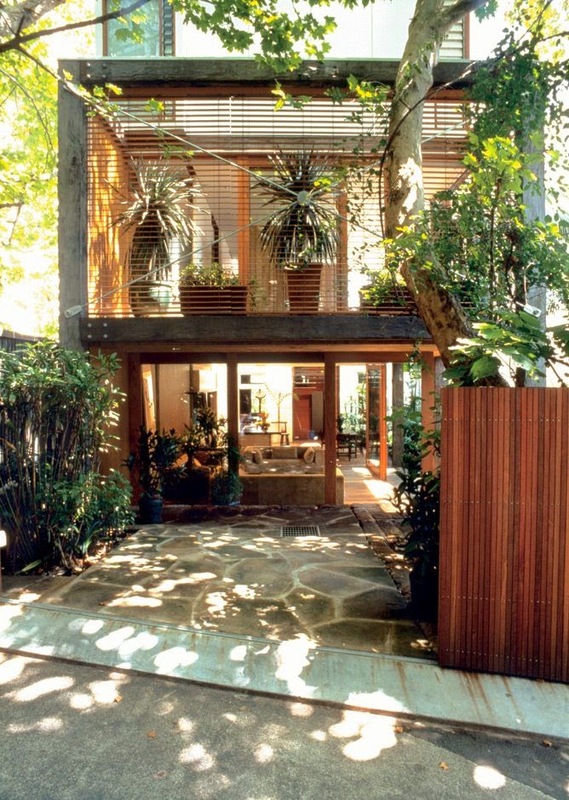 The tree supports the large porch and walkway, while metal beams hold up the small shipping container at an equal height. 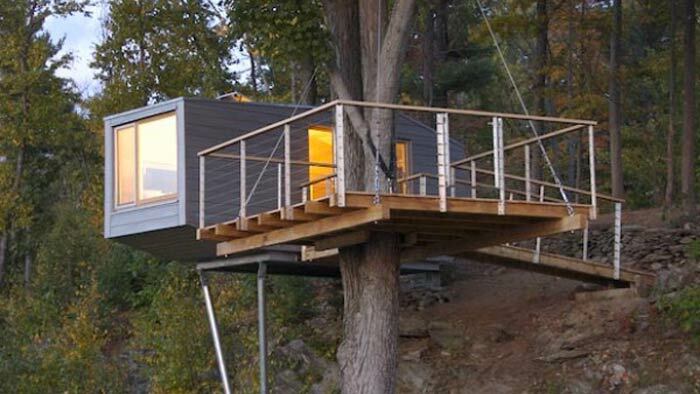 The result gives the resident the feel of being in a permanent, inexpensive, and unique tree house. The home is small, as the containers are heavy enough that you’d only want a studio sized version to make this work, but has a large window at the end for optimal observation and natural light. You may notice the shape is more of a trailer than the traditional rectangle. This shape allows the weight to rest more on the support beams, giving greater stability. 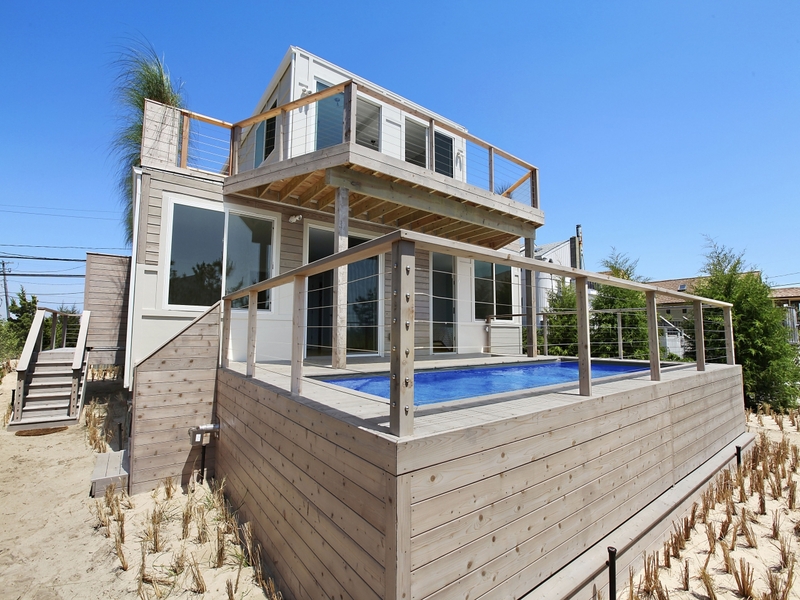 This home design took it to the beach. To make the containers blend well with the surrounding environment, and to keep the sun from heating up the steel, the designer used a natural drift wood appearance on the sides and for the porch and swimming area. Any exposed container area was painted white to reflect sunlight and heat. The coast is an excellent place to take advantage of natural light, and this home features large sea-facing windows to do just that. While the design is still blocky due to the shape of the boxes, it does a great job in blending in with not only nature but also the neighboring development. This whole home is a statement piece, from the unique and edge design to the bright pink circles painted on the dark exterior. A small staircase leads to the second floor loft, keeping this home more of a studio-sized living area. While the house may not have many large windows, it is small enough to benefit from bright indoor lights and not feel too dark without lots of natural light. Smaller homes, like this one, sometimes are better left with fewer windows given the challenge of keeping private areas when everything is displayed to the public. This narrow design adds a unique element in the lowered bottom floor. Stepping down into a home instead of up can have it’s visual perks, especially when the second floor, now much closer to the outside eye, is open and fresh looking. This home design features a beautiful blend of browns, whites, and greens, playing on nature to keep the shapes and textures flowing and free. Wooden floors inside and a natural stone patio allow space for the container to breathe, keeping the square shape from restricting movement. The touches of metal and more modern shapes, seen in the second floor landing and the furniture, add an element of the contemporary. 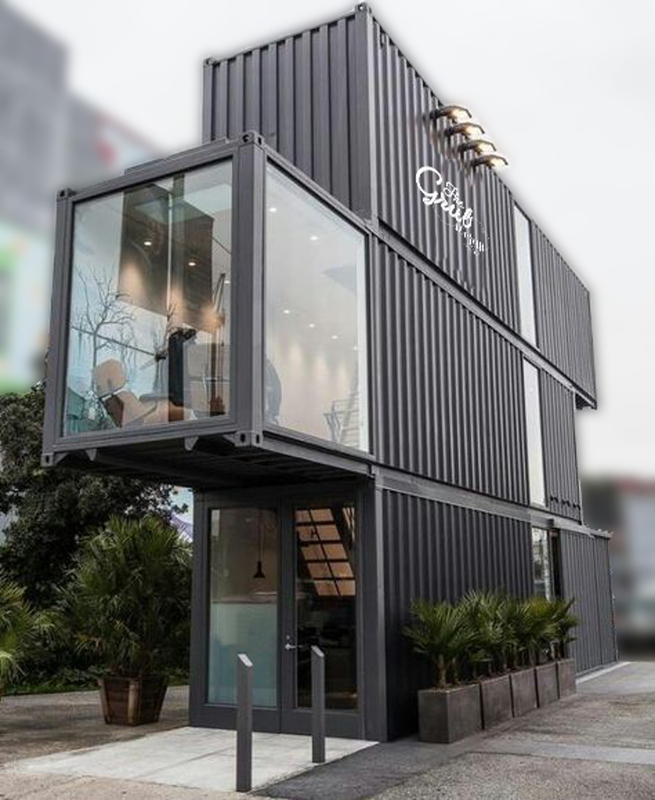 Storage containers come in many shapes and sizes, like this one that is a higher than average height. The extra height allowed the designer to have a portion of the wall remain solid while still getting to install large windows for natural sunlight. The home decor harkens back to the 50’s with soft colors, busy patterns, and retro furniture. The ceiling is a nice touch, covering up the lines of the container with a simple yet elegant pattern. 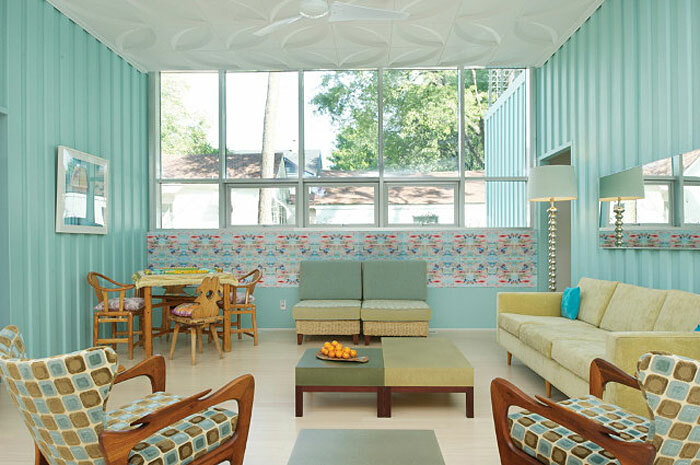 The container sides add to the overall feel of the space, and were left to be enjoyed. 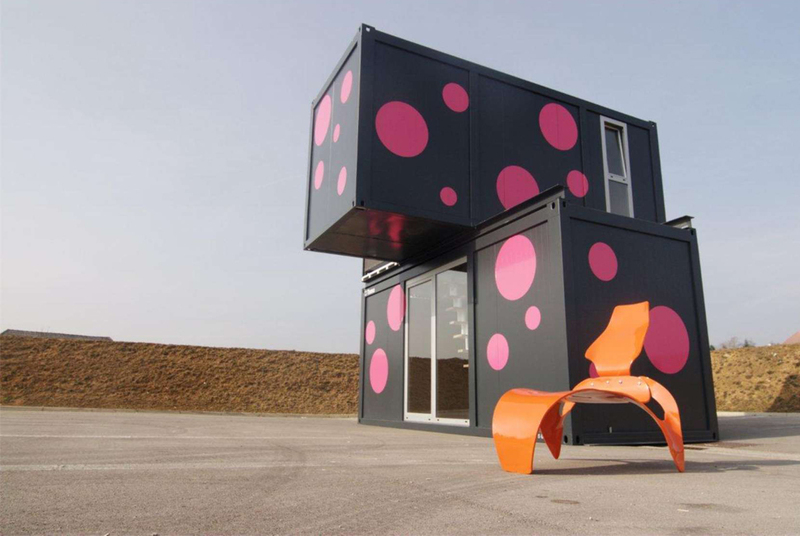 Shipping container homes, coming as individual containers, can easily be made into segmented living quarters. This home has two separated living areas joined in the middle with a beautiful outdoor courtyard and patio. The natural stone and grass linking the two areas is a beautiful contrast to the industrial impression of the home. Both floors of the home open to the court yard below with large sliding doors, and both of the areas behind those doors are large open spaces in the interior. The side rooms are kept more private. 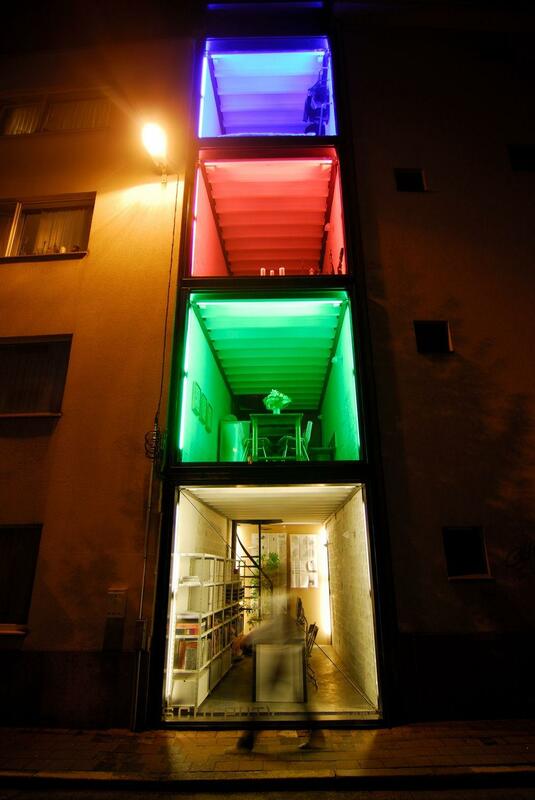 When you think of container houses, you might not think of just four containers stacked on each other. This home plays with a small amount of space in a great way. Using a spiral staircase, they are able to have four distinct living areas stacked on top of each other. Since the sides of the home border other properties, the only space for natural light was by using the ends. While this definitely decreases the amount of privacy you get, it creates a wonderful visual presentation and a unique style. Another unique shape when it comes to storage container homes, this building plays with the idea of balance. An open windowed cube area on the second floor allows for light in the rest of the container. Windows also tie the structure together by having the same shape and location for a long window on all three floors. It creates a ribbon-like appearance. Inside, the decoration is simple lines, little clutter, and small details that bring out the modern feel and vibe of this home. 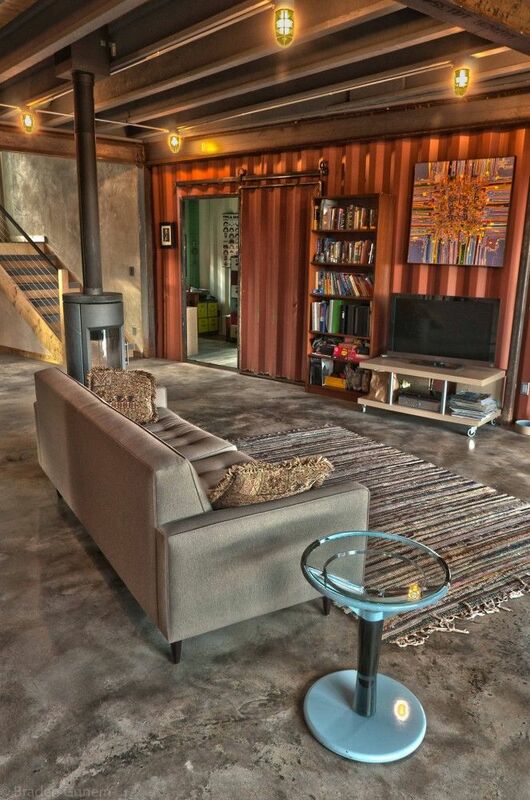 A mix of factory and grunge style, this shipping container home design features an open floor. Minimal uses of fabric or insulation keep sound bright, while both natural light and lanterns keep the interior from being too dim. The cement floor is a unique touch and easy to keep clean and decorate. The pop of color from the side of the container gives texture to an otherwise simplified palette of smooth textures and gray tones. Having the couch at an angle increases the appeal of the living area, while the glass stool and wood stove pair well as endcaps.